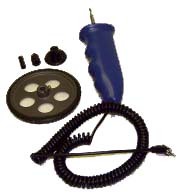 The PCE-155 handheld rotation meter is an optical device that is powered by batteries and due to its laser can be used at 8 m distance from the point of measurement. The ergonomic design of this rotation meter allows to measure the objects and the readings on the display to be viewed simultaneously by the user. It comes with side protectors made of rubber and can be operated with one hand. Its 32 internal functions allow to use device as a tachometer, rotation meter, adding device and counter. It can be connected to an external optical sensor or a contact sensor (wheel or pointer). The output using TTL pulses also allows data to be transferred to another system for analysis. One special characteristic is the visible laser, which makes it possible to measure from 8 m distance. It can also be connected to different external sensors. Here you will find another high quality, handheld rotation meter with software and interface. 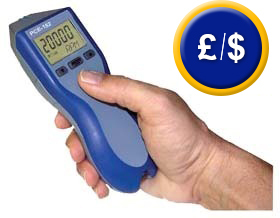 If there are any questions about this handheld rotation meter PCE-155, please have a look at the technical specification below or call: UK customers +44(0) 23 809 870 30 / US customers +1-410-387-7703. Our engineers and technicians will gladly advise you regarding the rotation meters or any other products in terms of regulation and control, or scales and balances of PCE Instruments. - Velocity in m/min, r.p.m. - An external sensor can be connected. The four front keys: connection of the device and the indication of rotations or velocity being pressed. The rotation meter can be programmed using three keys and minimum and maximum values can be recovered. 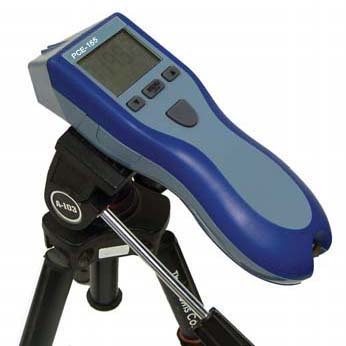 The PCE-155 rotation meter has a unique ergonomical design that allows the user to use it safely and for the object and display to be viewed at the same time. 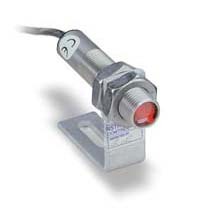 Non-contact optical measurement 5 to 200,000 r.p.m. Resolution 0.001 to 1.0 r.p.m. Operating temperature 5 to 40°C, 5 to 80% r.h. The PCE-155 pack contains a rotation meter, measurement markers, 10 cm wheel, reflective tape, handle and carrying case. 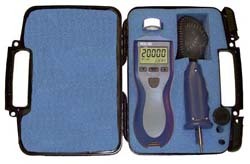 The PCE-155 rotation meter can be certified if the user desires. The certification meets ISO requirements and guarantees highly accurate results.